Extends the HDMI 1.3b signal up to 100 meters using a category 5 cable, with no need for configuration. 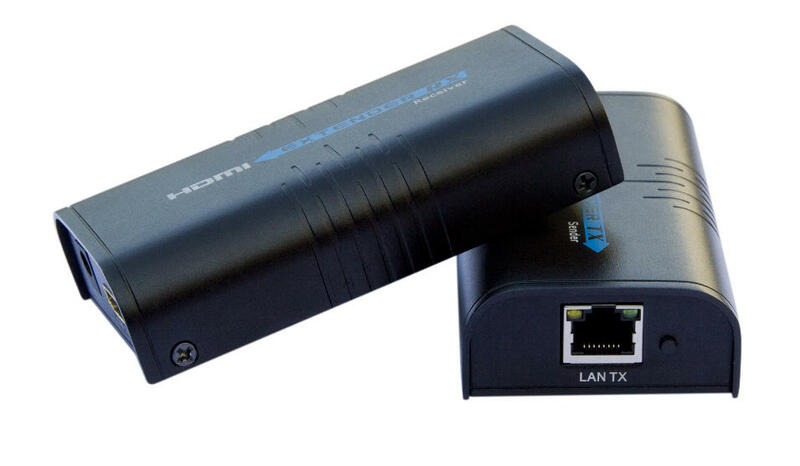 Allows point-to-point connection (up to 100 meters) or multiple screens of the same content at the same time (multicast) by using a LAN switch and adding additional receivers for each additional screen. Supports HDCP.